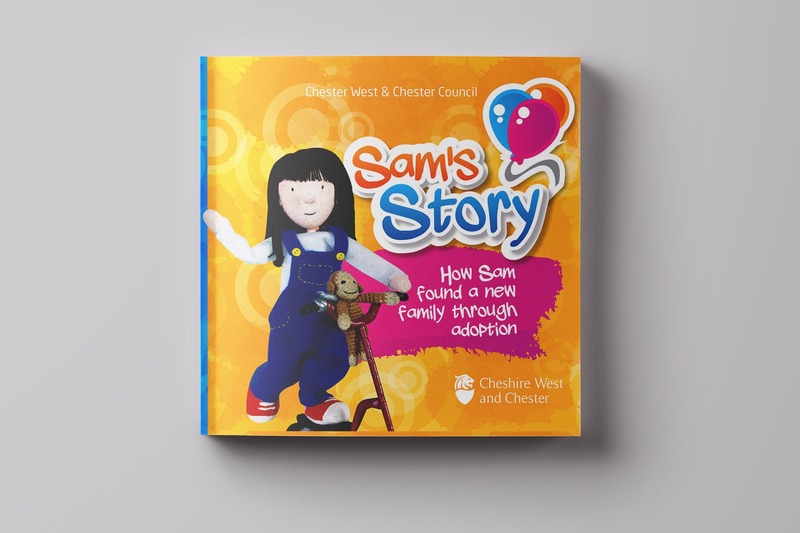 Cheshire West and Cheshire Council wanted a story book to help young people who were being adopted. 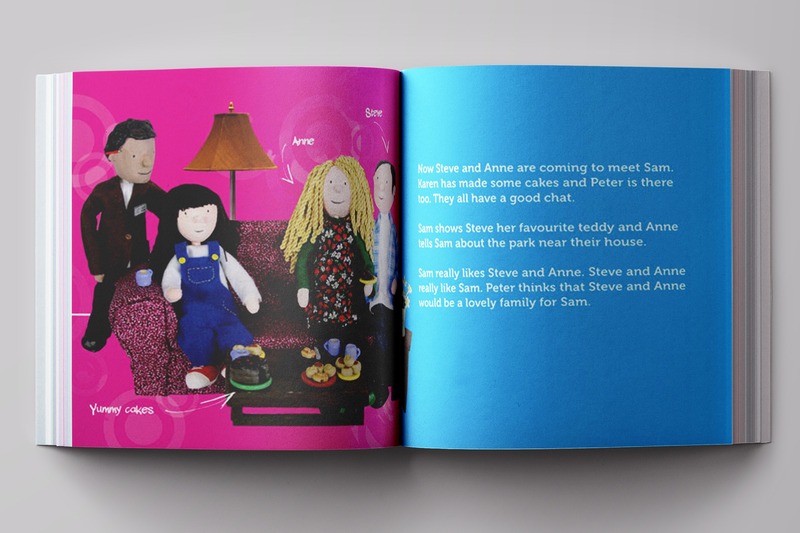 I took on the art direction and design of the book and worked with model artist and published author Daisy Dawes to create Sam and illustrate her adoption story. 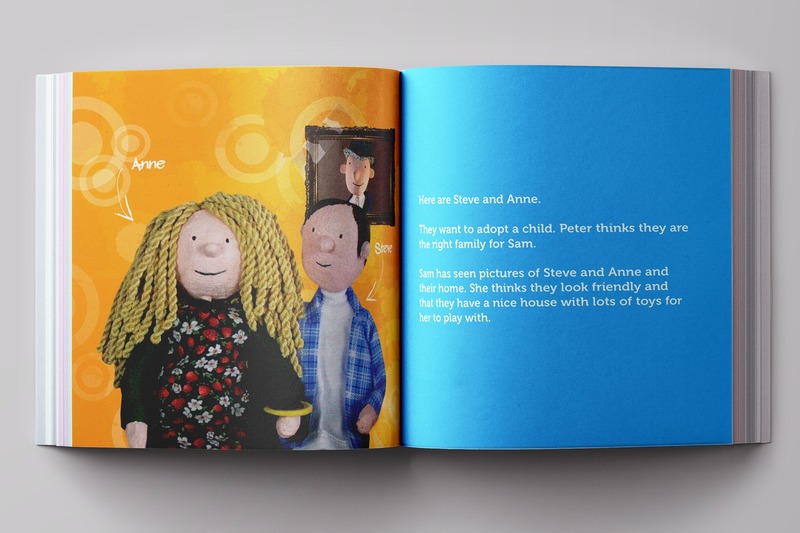 The book proved a big success with youngsters and I also created some inserts and worksheets using the Sam character as part of the pack.